"Is it too early for a Christmas Elf?" "I'm still eating Halloween candy." "I don't think we're supposed to be looking at that site." "I know, but the candy looks so good!" 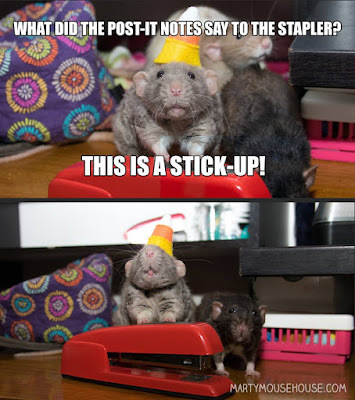 haha poor stapler. Now if only that candy could materialize from the computer. Thanks. Glad you enjoyed them. Is it sad that I'm excited to see holiday themed pics already? :P Have a great week and Monday Mary! A mini computer for mice - who knew? I love the props the rats have. I don't know where they get them from though. 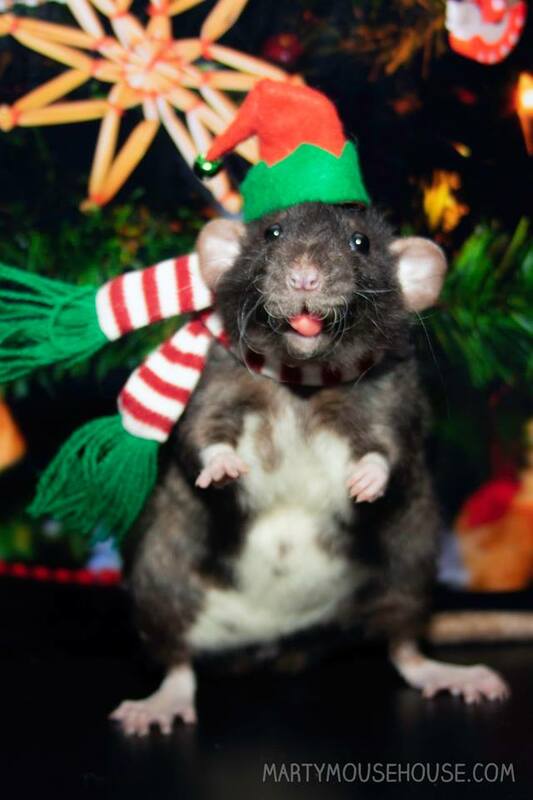 A very happy Raturday to you. Tuesday here. It's too soon for Christmas but he is too cute to be Ginchy about it Ha! A stick up and look at the little apple laptop..too cute! That candy corn hat is so cute! I know. He doesn't seem to mind it either. This made me smile! I don't know where you find them, lol. Thanks. I have some friends on fb and Twitter that let me use their pictures. What a great collection here - thanks. I'm glad you enjoyed them. I do too, so cute.